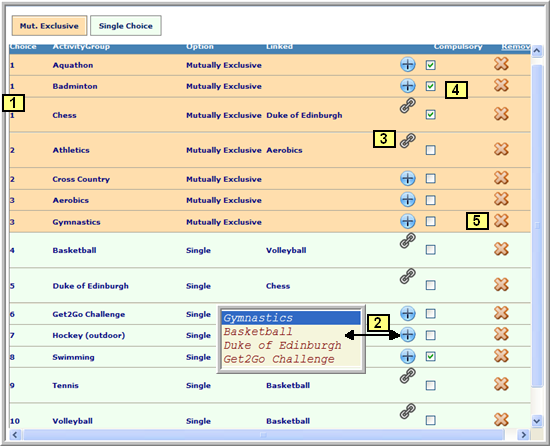 This control allows students to choose co-curricula activities online. Selections are automatically assigned to students after they select them online – without having to transpose selections from paper based forms. 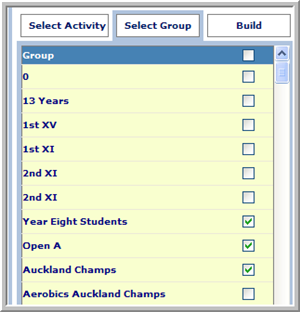 If Students are to have a choice from multiple groups several groups can be added and worked with in one window or a single group can be worked with. Important; Please ensure you SAVE the information on a regular basis otherwise if your Web Browser times out you will loose the information. Groups e.g. 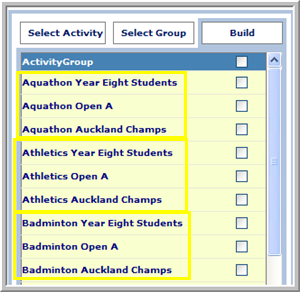 If several groups are selected at once, when you click Build, the Activities will be listed and can be identified by the Groups.